wolfie 🐺: "Happy Christmas Adam!" 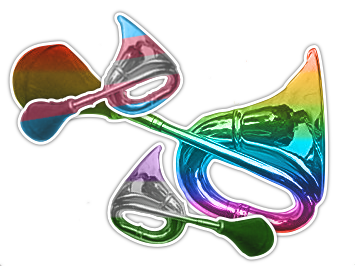 - Queer Party! user 3: Please stop pestering us with things like this. this has nothing to do with men fighting for their rights. Eve is short for &apos;evening&apos;. Please don&apos;t turn activism into a joke. Thanks. 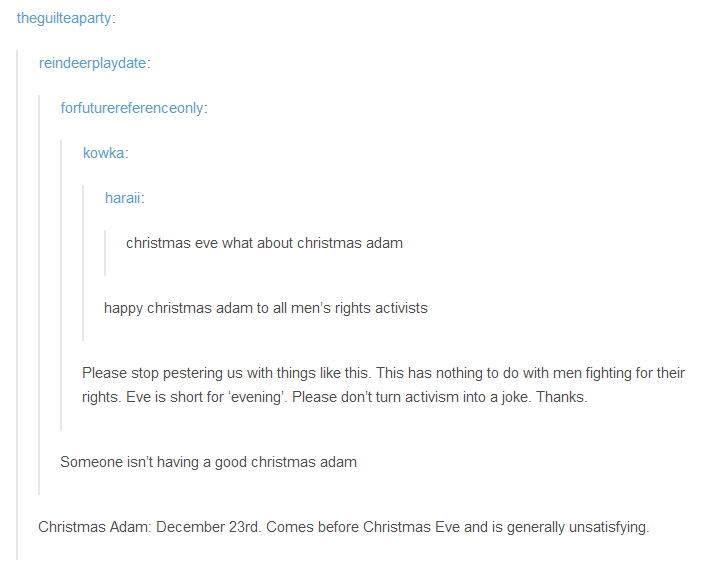 user 5: Christmas Adam: December 23rd. Comes before Christmas Eve and is generally unsatisfying.